Radio Airtime Media serves all areas across the UK providing effective, high impact and high quality radio advertising for our clients. Do you want to know more? Call us now on 0208 003 2949 or fill our Radio Advertising Planner form. 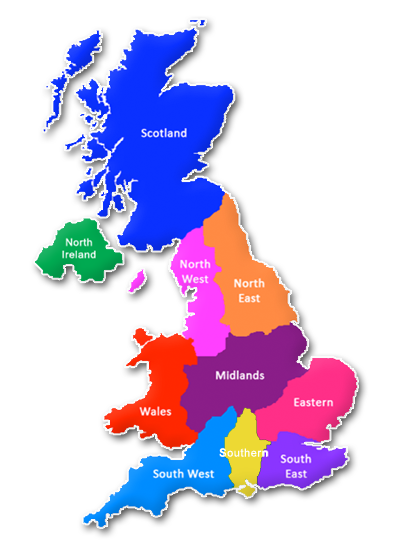 We cover all areas across the UK. Call now on 0208 003 2949 and plan your radio campaign with us! Would you like to advertise abroad? Contact us today to plan your campaign wherever you want! Radio Airtime Media specialists can plan and book your advertising campaign in several countries around the world. Just call us on 0208 003 2949 and find out more! Population figures based on the 2001 Census.